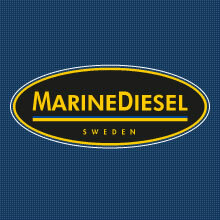 Today, BUKH A/S has announced the acquisition of Sweden based Marinediesel AB´s production of VGT marine engines, taking over the production and development of the powerful GM based V8 Diesel. In the future, production, sales and support will take place from BUKH´s Danish factory, ensuring that the engines meet the high quality standards that have been the trademark of Danish-built BUKH engines since 1899. Representing another milestone in our company’s growth plan, this acquisition strengthens BUKH´s position, expertise and competitiveness in the marine segments where BUKH has been represented for more than 110 years. BUKH has taken over all assets of Marinediesel AB relating to the VGT marine engines, and from today all the marine activities from Marinediesel AB will be executed by BUKH. Proteum is the UK distributor for BUKH and has many years experience working with the Marinediesel VGT range.